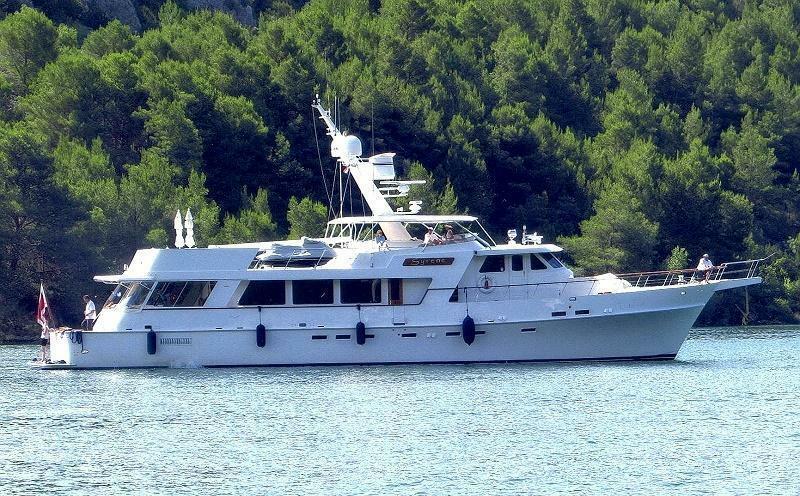 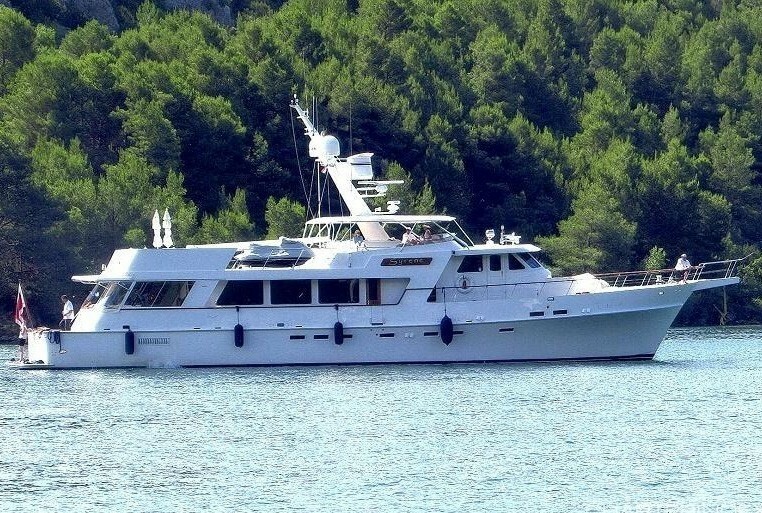 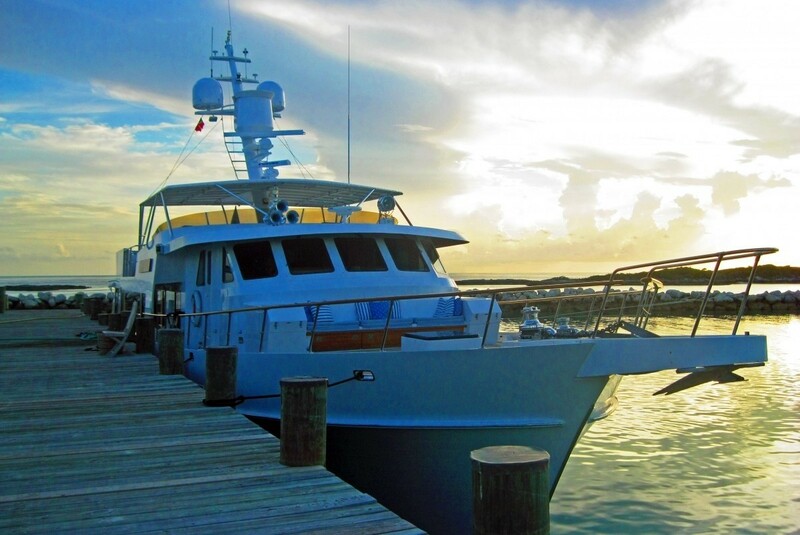 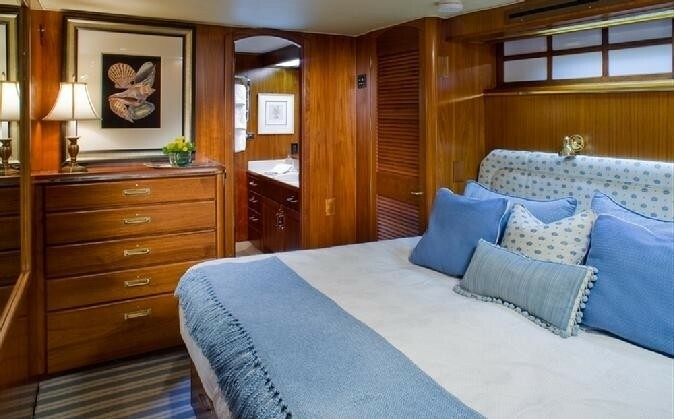 Luxury M/Y SYRENE was built by Christensen in 1986 and received an extensive refit in 2011. 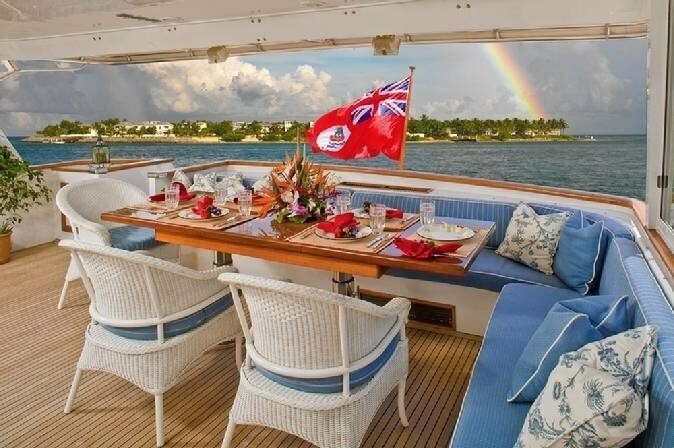 The yacht measures 28.9m (95ft) and is available for luxury Caribbean charters, offering deluxe accommodation for up to 8 guests. 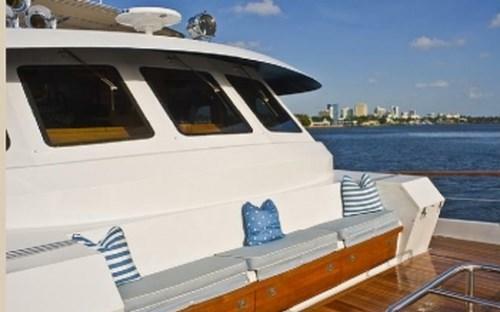 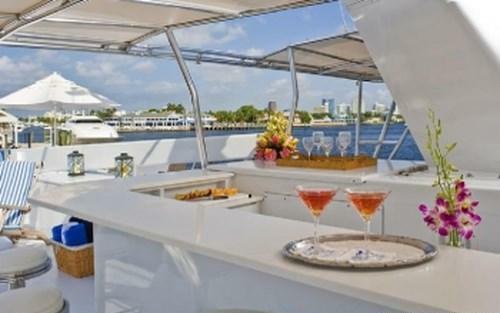 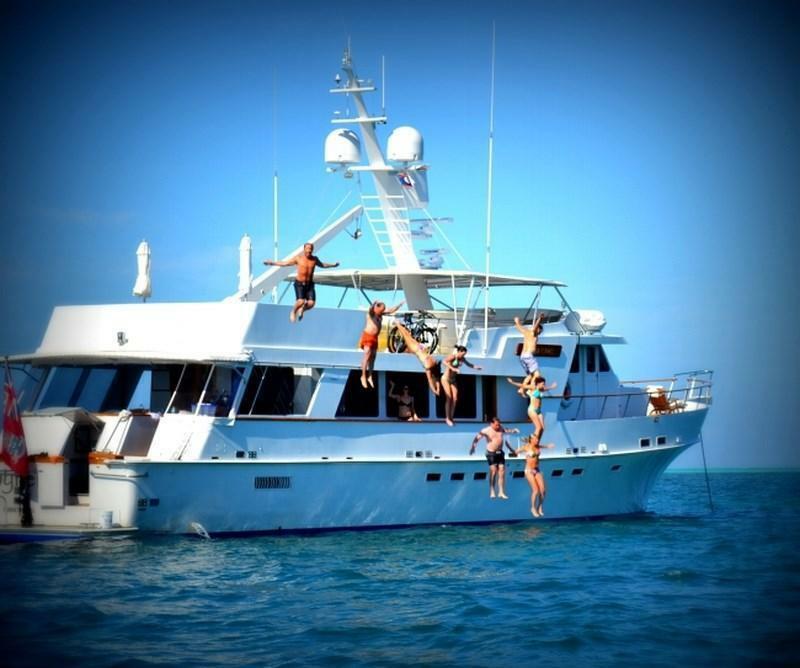 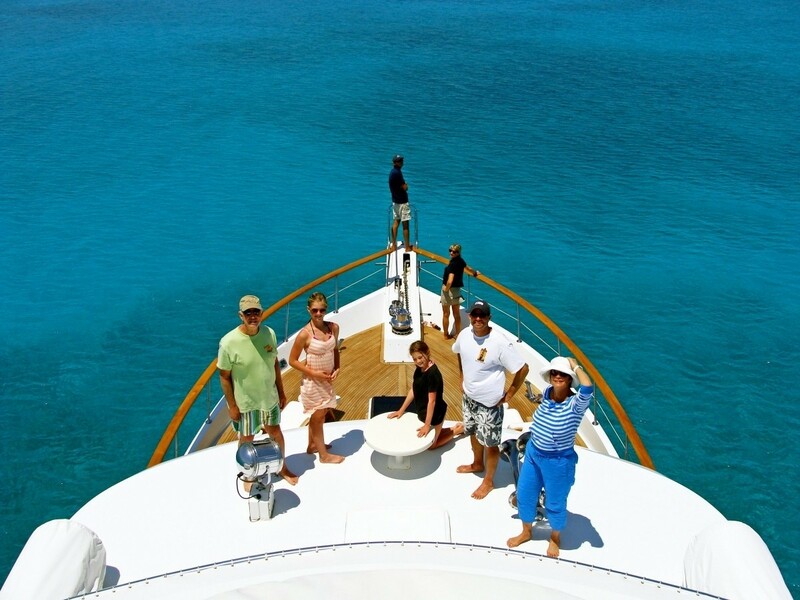 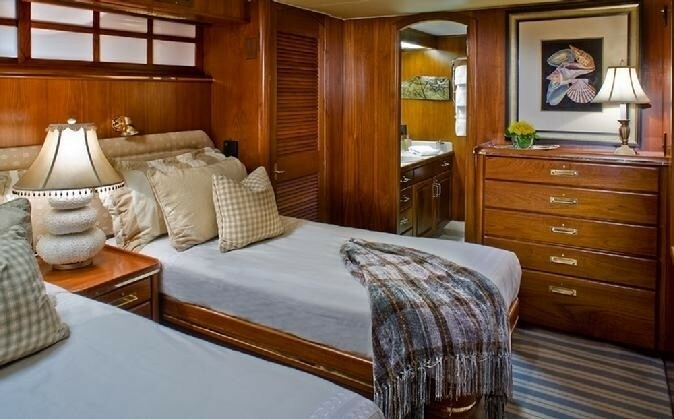 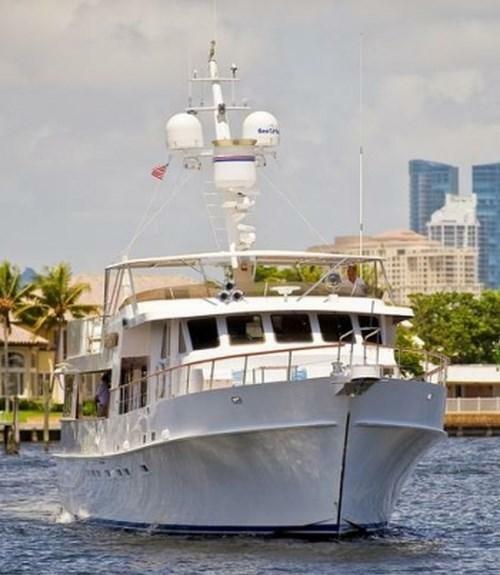 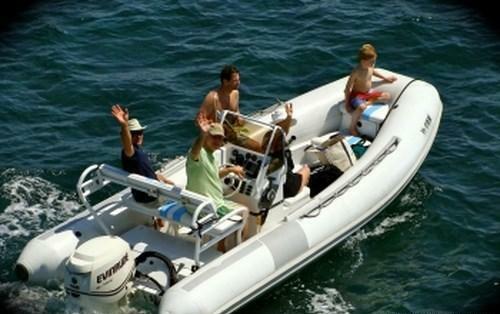 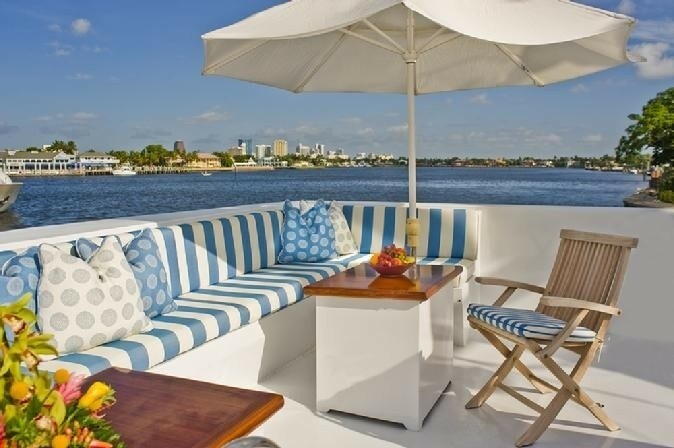 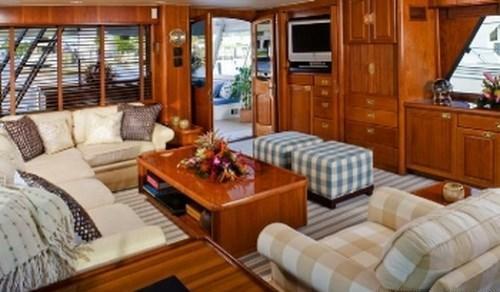 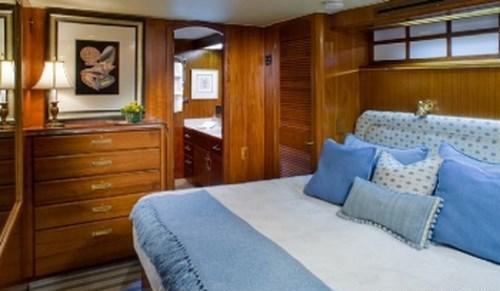 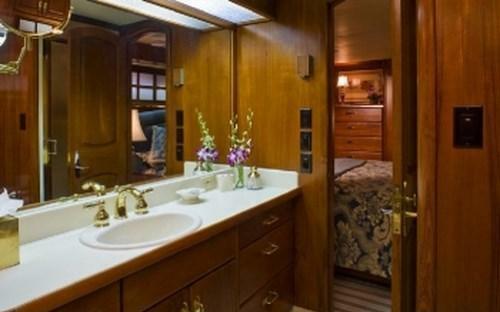 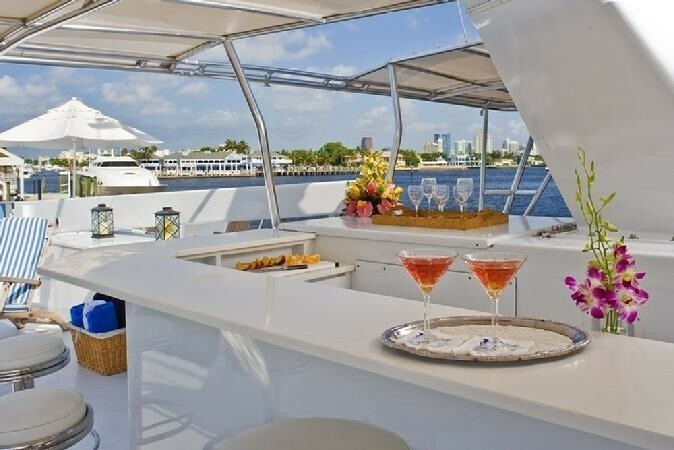 Motor yacht SYRENE has a welcoming interior with an elegant yet casual country style ambiance. 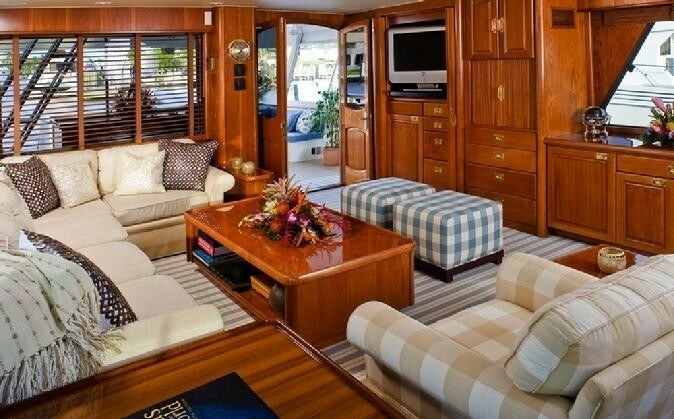 The salon is an open plan with the lounge aft featuring plush sofas, a custom coffee table and TV entertainment. 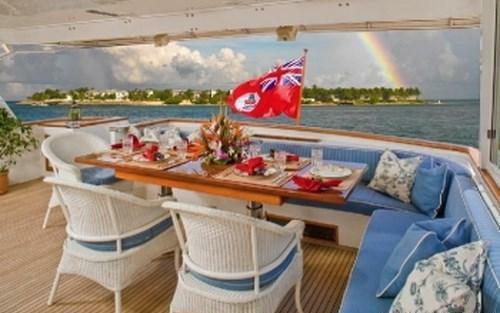 Forward, the formal dining space seats 8 guests with ease. 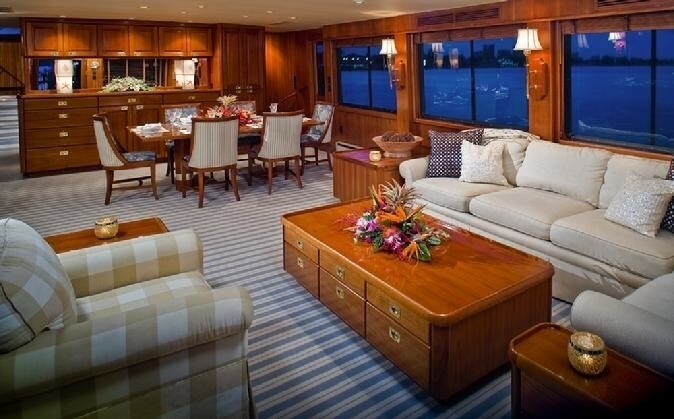 Large panoramic windows infuse the space with plenty of natural light and a generous feel. 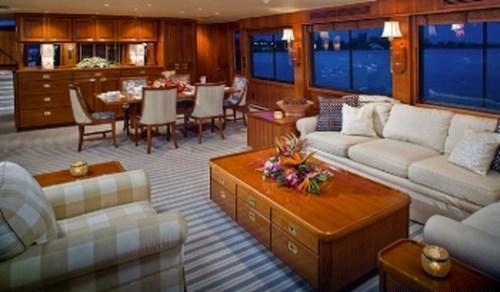 The Caribbean based M/Y SYRENE boasts an ample alfresco dining area on the shaded aft deck, adjacent to the salon. 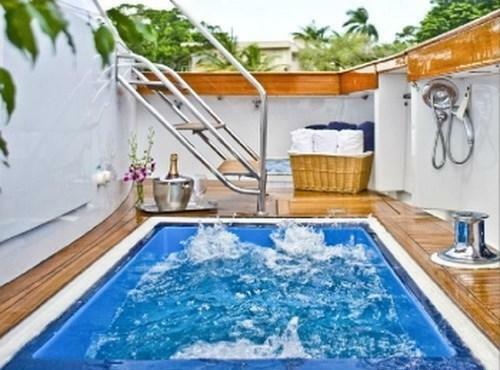 Further aft a lower aft deck has a unique feature for a yacht of this size, the deck opens to reveal a romantic hot tub. 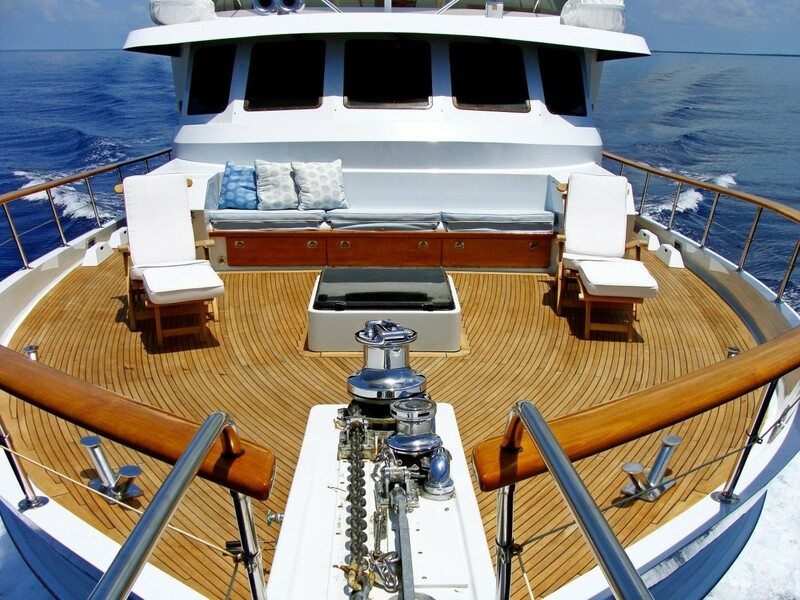 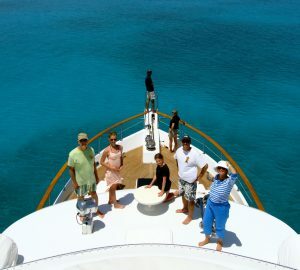 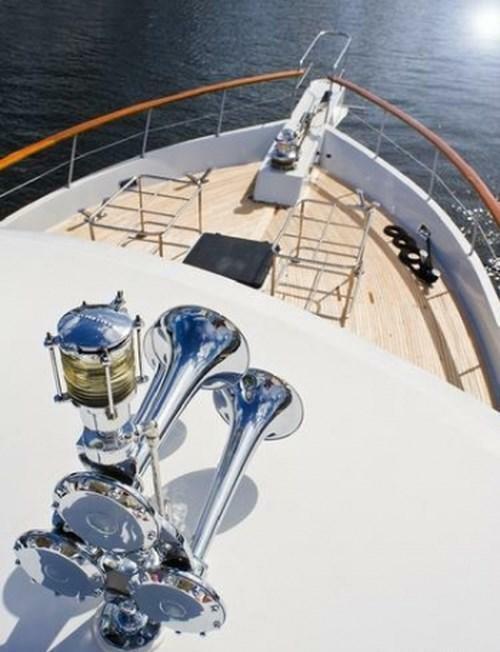 Side decks wrap around the yacht meeting on the spacious foredeck and additional seating area. 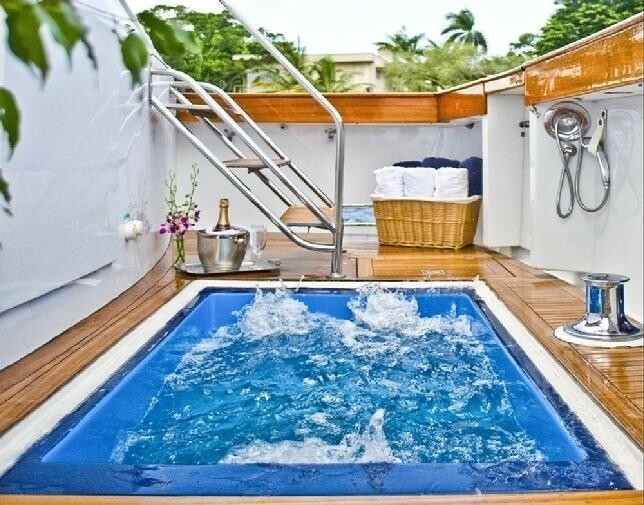 Above the main deck, luxury charter yacht SYRENE boasts an upper deck, the ideal social focal point to enjoy the Tropical climates, here guests may enjoy sunning, cocktails from the wet bar and ample seating areas. 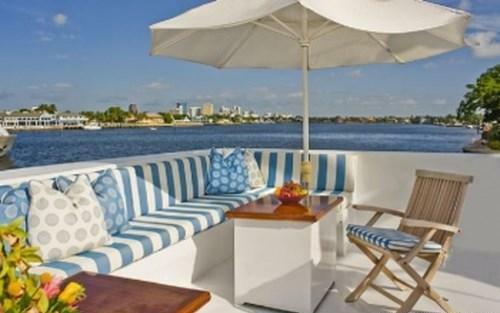 Partial shade is provided by a Bimini cover and large umbrella. 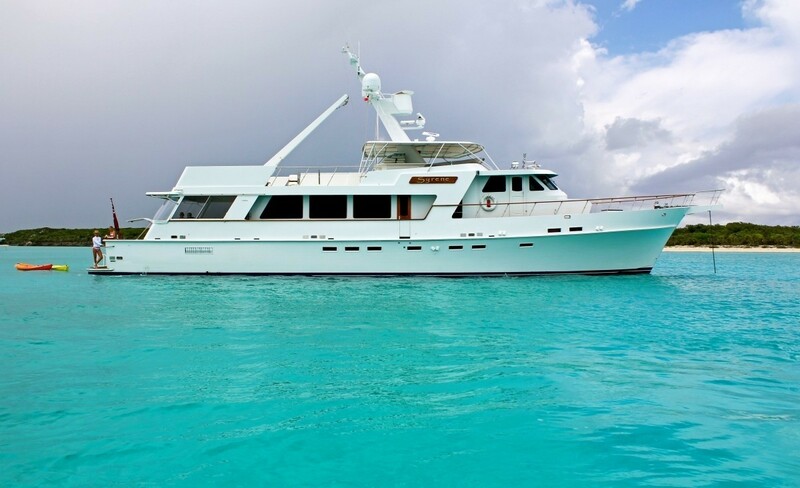 With a beam of 6m (20ft) and a draft of 1.9m (6.5ft), the American built Christensen motor yacht SYRENE is powered by twin CAT 320HP engines, capable of up to 10.5 knots, she is available in the Spanish, US and British Virgin Islands year round. 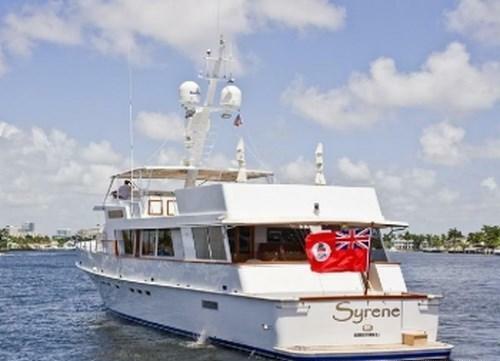 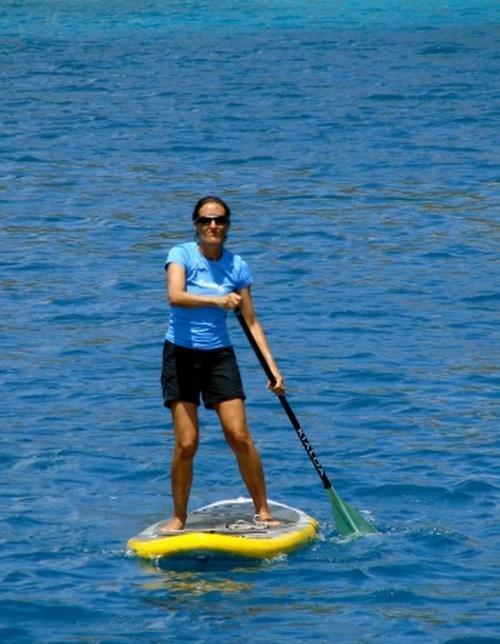 Yacht SYRENE can accommodate up to 8 charter guests in 4 en-suite cabins. 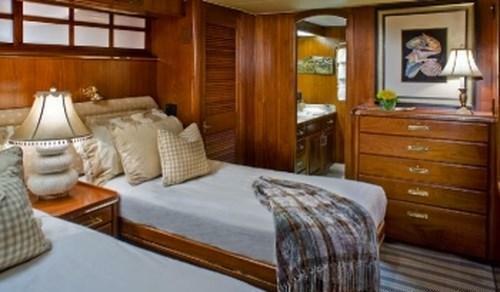 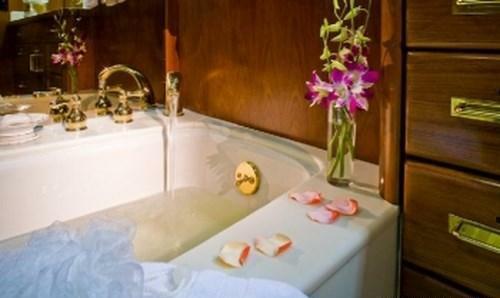 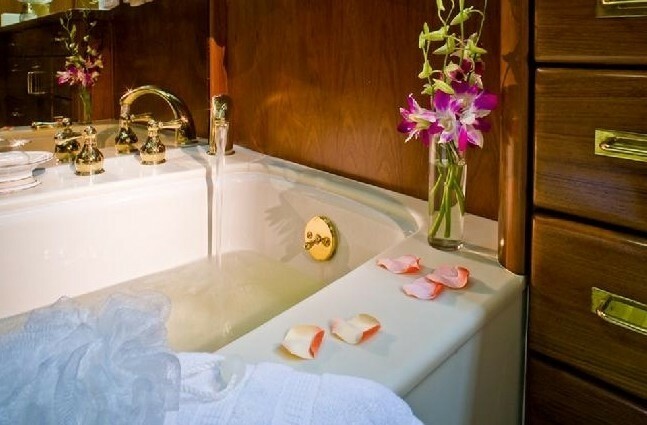 The master cabin boasts a king size bed and en-suite facilities with a deluxe tub. 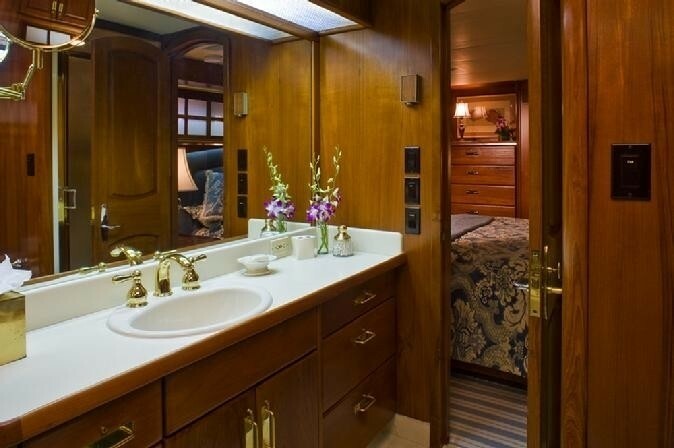 A VIP cabin offers a king size bed and shower room. 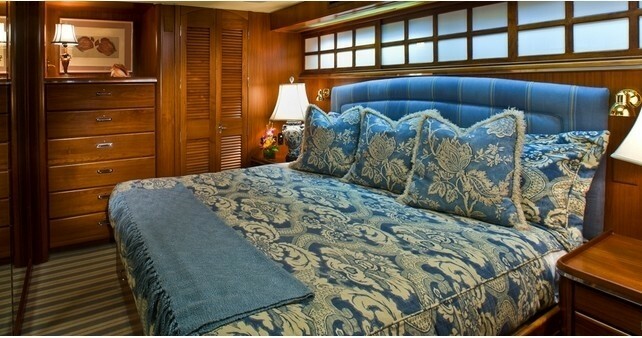 Two further guest cabins have side by side twin beds, which can convert into queen beds with ease. 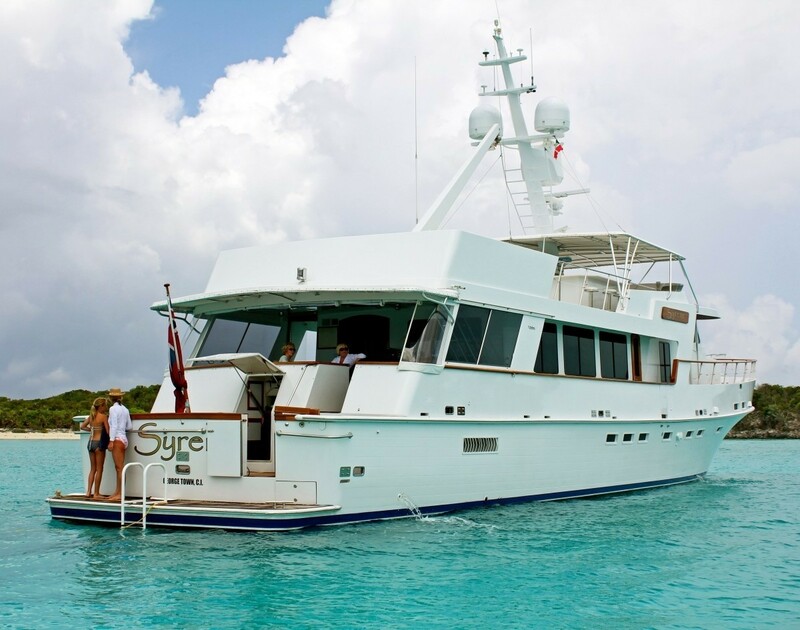 Thanks to the versatility of the cabin layout aboard the M/Y SYRENE, she is the perfect choice for groups of friends and families alike. 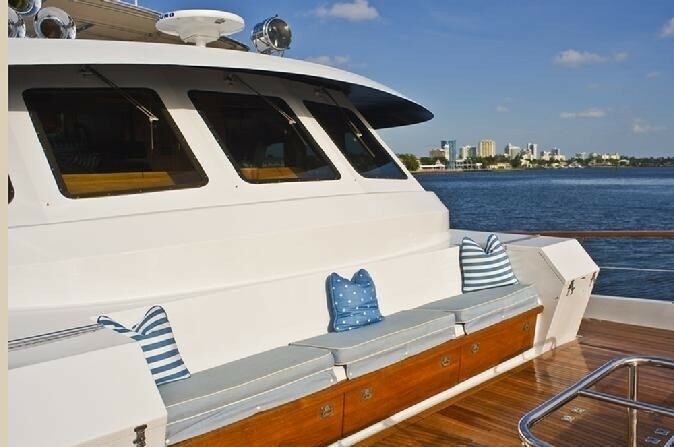 The SYRENE motor yacht has a 5.4m (18ft) tender with a 115HP engine, Towable toys, Kayak, Spa Pool tub, Fishing gear, Snorkel gear, TV and music entertainment with IPod hook up, Air conditioning throughout.